Sand washing machine with novel sealing structure and reliable transmission device, reasonable structure, large quantity, small power consumption, high cleanliness, sand washing process in sand loss less. Sand washing machine transmission parts are separated from water and sand, sand washing machine failure rate is much lower than the current market commonly used sand washing machine, is the best choice for the upgrading of the domestic washing sand industry. Bucket wheel sand washing machine working principle: bucket wheel sand washing machine motor through a triangular belt, reducer, gear reducer drives the impeller to rotate slowly, sand and gravel feed chute into the washing groove has a, rolling in the impeller drive, and grinding each other, remove the impurities on the surface of the sand covered and destroy coated sand moisture layer, in order to facilitate the dehydration; while adding water, formation sand washing machine strong currents, timely will take a small proportion of the impurities and the foreign body, and wash tank is discharged from the overflow outlet to complete the cleaning effect. 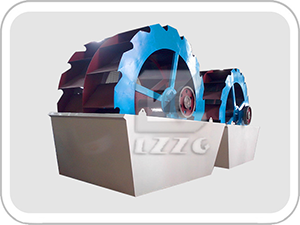 Clean sand and gravel from the leaves away, the last sand from the rotation of the impeller into the trough, the completion of the cleaning effect of sand. 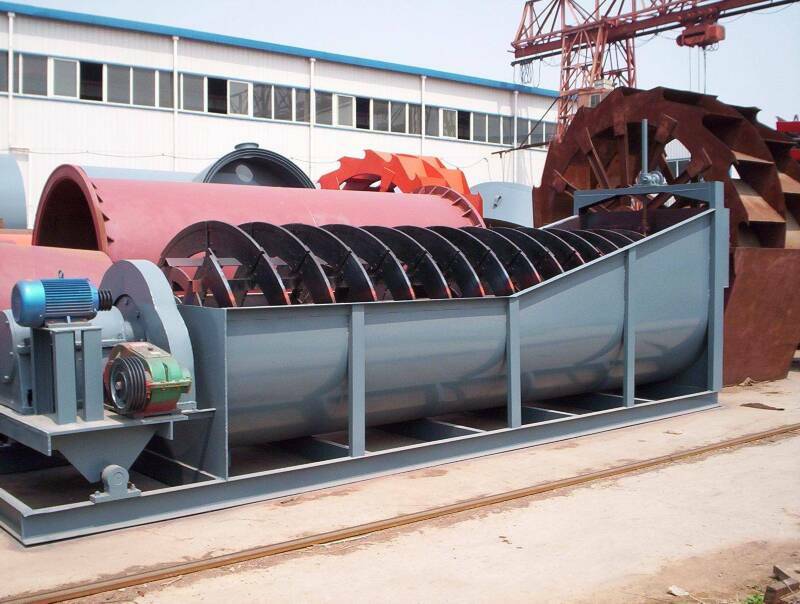 Screw sand washing machine has the characteristics of simple structure, smooth operation, sand washing, sand washing machine production and high yield. It is widely used in construction sites, sand and gravel, glass factory, power station, concrete to the system of stone and electrical and other departments.